FOC2 is a new generation Ethrenet Media Converter with enhanced integration and management. It provides Ethernet extension and fiber optic network access. 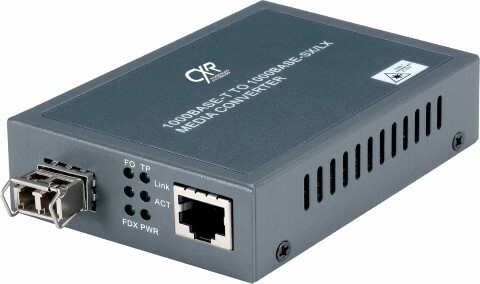 FOC2 is a new series of Ethernet Media Converter that are more compact, cost effective and flexible. FOC2 is an automatic and very affordable product. FOC2I and FOC2O are http and snmp manageable. FOC2O can be remotely controlled via OAM frames. Manageable converters provide VLAN, demarcation Provider Birdge or Q-in-Q, and remote Ethernet Link status. Converters are offered with a broad choice of SFP optical modules. Up to 18 FOC2 converters can fit in a RACK-MEDIA2-18 chassis with redundant power supplies and management capabilities.